← Why Did Jesus Surround Himself With Prostitutes? God already knows exactly what we need before we ask Him (Matthew 6:8). Yet still we pray to Him as if He were in the dark. He is infinitely more familiar with our problems than even we are ourselves. 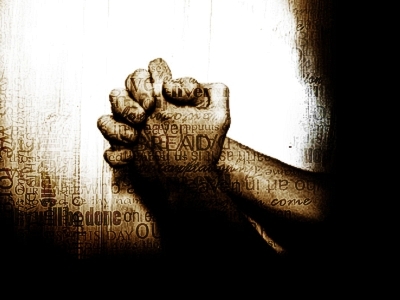 So prayer is not for God — not even in the slightest — it is completely for ourselves. It is a time to step back and acknowledge before God what we believe truly matters; a time to reexamine and redefine our priorities; a time to think of others, especially our enemies, in a gracious and loving way. Prayer is immensely important but not just as a communication with God. He already knows what we are thinking “from afar” (Psalm 139:2) . Prayer reminds us of this simple fact and affords us the time to evaluate, redirect, clarify, organize and focus our innermost thoughts. It also encourages us to stop and actually listen. In this respect, it is much more akin to meditation than petition. This entry was posted in Ponderings, Prayer and tagged God, Matthew. Bookmark the permalink.